Buy your tickets online to avoid the line. Check out these parking options before leaving for your visit. Not only are people excited to touch the passing sharks and rays, they're doing an amazing job of sharing that experience online. Here's some images posted by visitors on various social networks. one of the bonnethead sharks in the new exhibit. @RichRosa tweeted this photobucket image. @YaTYaTHK put up this amazing blog post of images from an Aquarium visit, including this shot. 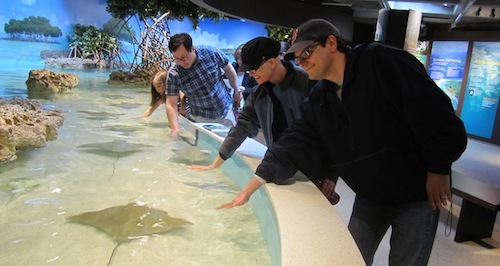 Julie Scilierri Blake posted photo on the Aquarium's facebook page with the caption "High five Mr. Ray!" Another photo from Julie Scilierri Blake that she posted photo on the Aquarium's Facebook page. 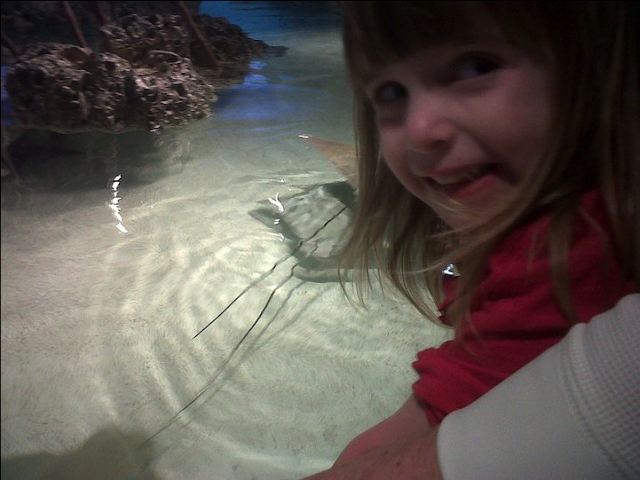 This one has the caption "I touched the stingray!" This photo was posted by flickr user diego_carolyn. 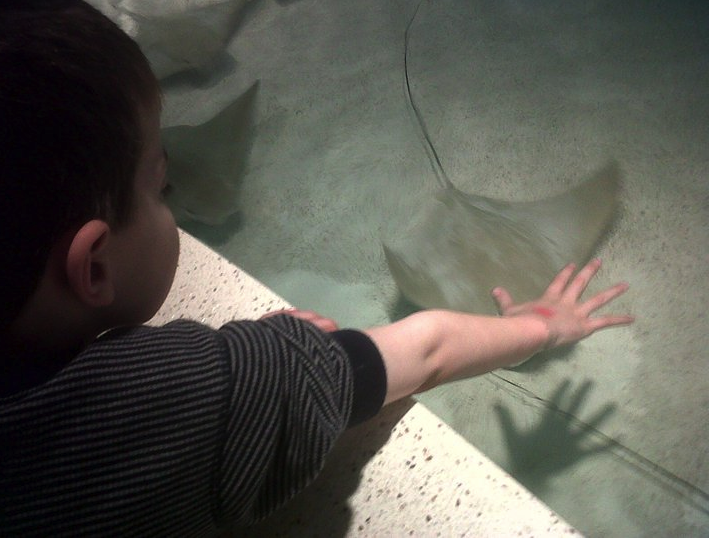 Come visit the new exhibit with your family and share your own shark and ray touch tank photos with the Aquarium on Facebook, @neaq on Twitter or tagging #new england aquarium on Tumblr.